RAVE ON! 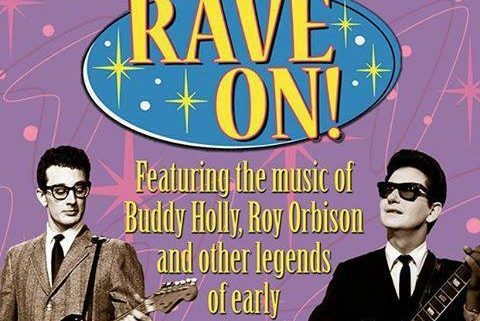 shows are high-energy performances of the best of rock & roll’s early years. This timeless music gets the audience rockin’, young and old alike! It’s the music that influenced today’s artists and continues to appeal to people of all ages. 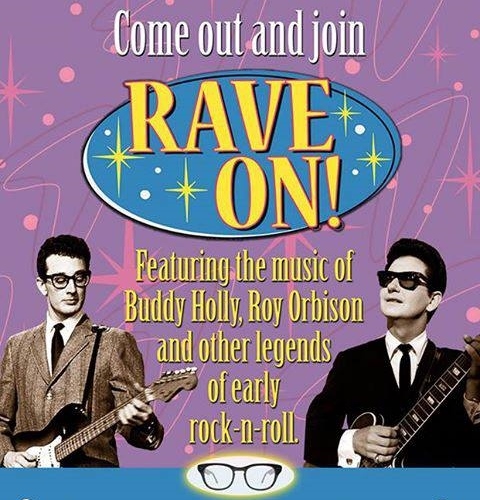 RAVE ON!’s show is always a crowd pleaser with their renditions of songs by Buddy Holly, Roy Orbison and other greats of the time! Get your tickets today by calling the Box Office at 814-467-9070, Monday through Friday from 10 am to 4 pm. Or, order your tickets online by clicking on the BUY TICKETS tab of this website. Simply pick your seats and then pay for them with a debit/major credit card. Don’t forget to print out your confirmation sheet. The show date is Saturday, May 19th at 7:30 pm. Ticket prices vary – $17, $22, $24. Hurry, because floor seats are going fast – we only have 106 left. That may seem like a lot, but it’s not really. Here is a sample of “Rave On’ back in 2014 as they brought down the house here at the Arcadia! http://arcadiawindber.com/wp-content/uploads/2018/05/Rave-On-Poster-2.jpg 500 480 Windber Arcadia Windber Arcadia2018-05-03 15:36:562018-05-03 15:43:49You Asked For Their Return... and "You Got It"
Today’s Daily Bizarre and Unique Holidays…. What’s Happening Today?